A health-conscious Florida man is facing theft charges after police arrested him for stealing kale, the reigning Vegetable of the Year. Shane Stahl, 33, was nabbed Friday in connection with the theft of the chewy green from a Walmart Supercenter in Palm Harbor, a community 25 miles west of Tampa. Stahl, seen above, is also accused of nicking croutons and “salad,” according to a criminal complaint alleging that he pushed a shopping cart out of the store without paying for the produce. 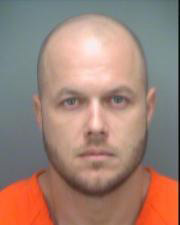 Stahl, a Tarpon Springs resident, is being held in the Pinellas County jail on retail theft charges (cops allege that he has targeted Walmart on multiple occasions). The popularity of kale, a cabbage relative, is a puzzlement to many due to its bitter taste and the need for recipes to "make it taste good." However, unlike competing vegetables, kale has achieved pop culture prominence due to the ubiquitous t-shirts and sweatshirts bearing its name (in the Yale University typeface). 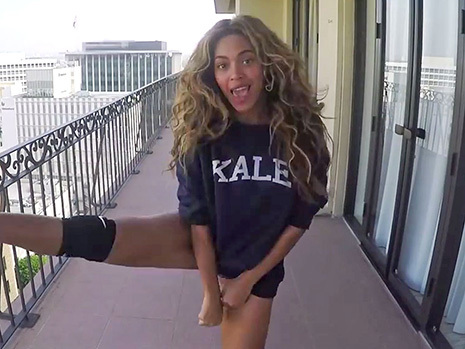 Additionally, in her 2014 video for the song "7/11," Beyonce is seen gyrating on a hotel balcony while wearing a "KALE" sweatshirt.